Micro needling is a recent technique where tiny needles are used to prick little holes in the skin. The skin gets wounded just enough to set-up the production of growth factors. Collagen and elastin will now be produced and don't only restore the skin; they also make it stronger, thicker, smoother and more resilient. 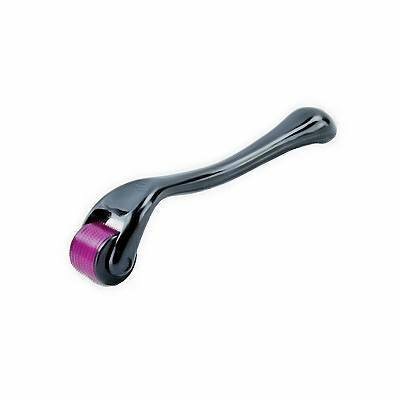 A nice bonus is that the derma rollers make it easier for skin care products to be absorbed. Smear away ! The smaller derma roller with pins of 0,3 mm stimulates also a better hair growth ! Make sure your collagen roller is cleansed before and after use it, and disinfect it with 80 % alcohol. Besides that, the skin roller is a very personal device and may not be used by anyone else.